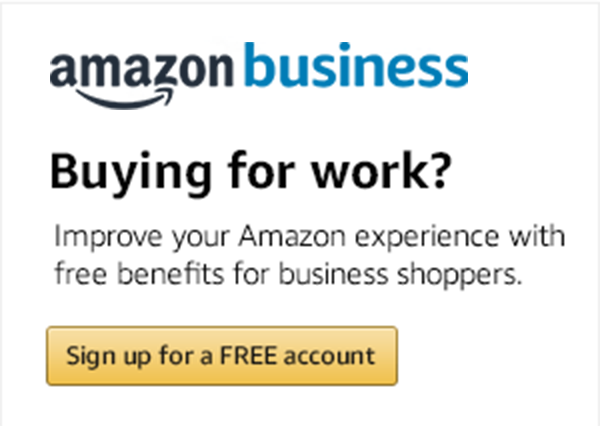 Three features – negotiated pricing, seller credentials and quantity discounts – make it easier for businesses to purchase and sell on Amazon Business. Here's a quick-start guide for new Amazon Business accounts, with helpful tips for users and account administrators. Amy MacPherson of Amazon Business will conduct four webinars in August for customers wanting to learn how to maximize the benefits of their business accounts. In an effort to drive additional value for their organizations, many purchasing leaders are turning their attention to spend consolidation. The new Amazon Business video tutorial library is a free resource to help you get started with your new business account. You’ll find brief videos that cover various features of Amazon Business. Organizations purchasing on Amazon Business automatically have access to an easy-to-use, powerful analytics tool with their business accounts. Discover four ways to get the most from Amazon Business Analytics. Amy MacPherson of Amazon Business will conduct four webinars in July for customers wanting to learn how to maximize the benefits of their business accounts. Amy MacPherson of Amazon Business will conduct four webinars in May for customers wanting to learn how to maximize the benefits of their business accounts. We’ve just updated our PO feature to make it possible to edit the PO number during the purchase-approval process. We have introduced a new tool that allows account administrators to add as many users as they want - even thousands at a time - in a single step.